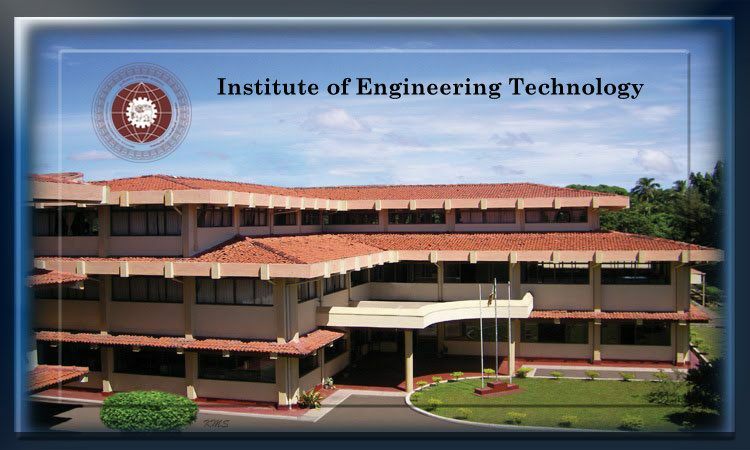 Institute of Engineering Technology (IET) Katunayake is a tertiary level institute, functioning under the National Apprenticeship and Industrial Training Authority (N A I T A) which offers a national level diploma. The four year National Diploma in Engineering Sciences (NDES) course offered at IET is principally designed based on “Dual System of training”. The course is of sand which type with alternate phases of theoretical instructions and industrial training. The academic component of the course is conducted at this institute and industrial training is imparted at recognized industrial establishment. The course provided nine (09) specialization’s under the three main disciplines of Engineering Civil, Electrical and Mechanical. This is a four year course, where the 18 Month academic instruction Programme is sandwiched with the 30 Month Industrial Training as given below. Industrial Training Programmes are conducted at recognized Industrial Establishments. An English course will be conducted outside the course period at the beginning. Participation is compulsory for all selected apprentices for the English course. 1. Civil – Building & Structural Engineering. 2. Civil – Highway & Railway Engineering. 3. Civil – Water & Environmental Engineering. 5. Electrical – Electrical Power Engineering. 8. Mechanical – Marine Engineering. You can download application and details from 24/04/2015 Government Gazette. Also you can collect Admission form and Instruction form from any N.A.I.T.A. office countrywide by paying Rs.200/=.